First announced on 11 August 2016, the Bedok Bus Package is one of fourteen bus packages to be released by the Land Transport Authority (LTA) as part of the transition to the Bus Contracting Model (BCM). Currently, SBS Transit operates all bus services in this package under a Negotiated Contract (NC) model until Year 2023. 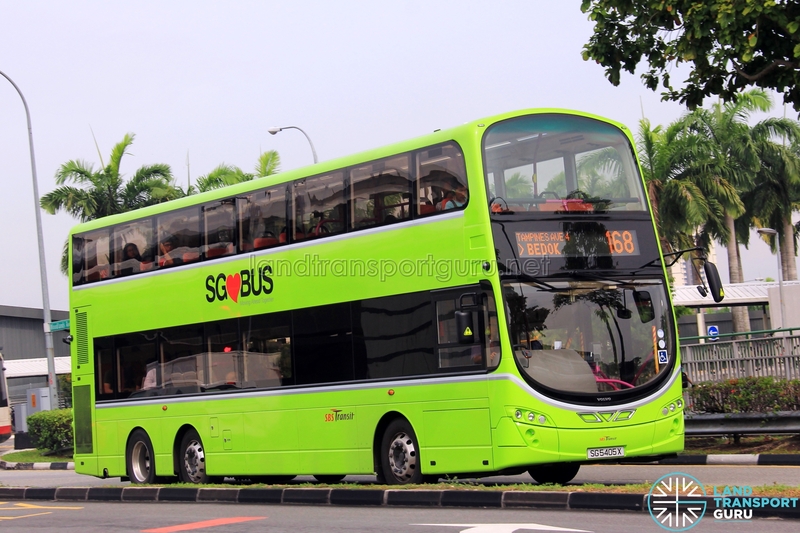 The NC with SBS Transit is referred as PT211 – Bedok Bus Package. This package comprises 24 existing bus services mainly originating from Bedok Bus Interchange and Upper East Coast Bus Terminal, with a handful originating at Jalan Kembangan and Marina Centre Bus Terminals. As of February 2017, 23 services are in operation, and 1 new route has yet to be announced. All bus operations would be based out of Bedok North Bus Depot, located off Bedok North Avenue 4 within the Bedok North Industrial Estate. Bedok Bus Package contains 24 existing bus services, all of which are currently operated by SBS Transit. Feeder Services 225G & 225W are counted as one service (225). More guidelines can be found in the main Bus Contracting Model (GCM) article. 2016 (11 Aug): Bedok Bus Package mentioned as one of 11 Negotiated Contract (NC) Packages operated by SBS Transit.